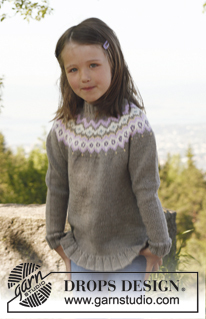 Go to original pattern for design DROPS Children 23-17. 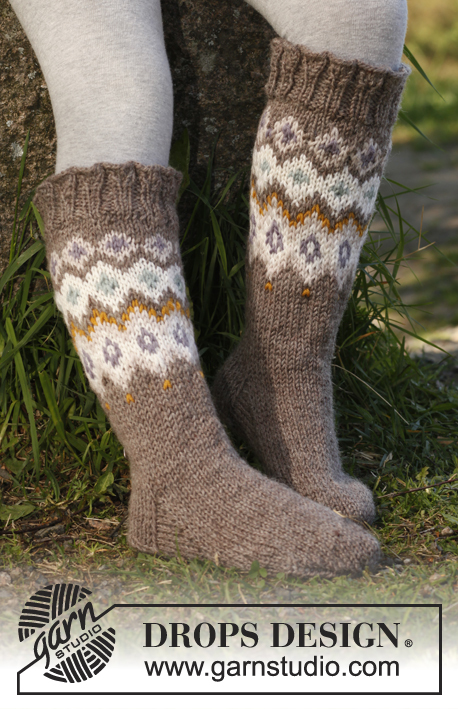 Knitted socks with pattern and flounce in DROPS Karisma. Size 22 - 37. 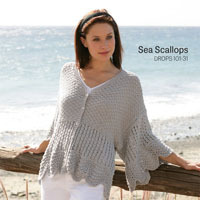 DROPS design: Pattern no U-059-bn. 100-150-150 (150-150-200) color no 54, beige brown. 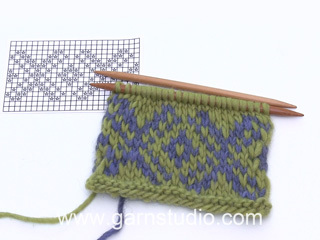 DROPS DOUBLE POINTED NEEDLES size 4 mm / US 6 - or size needed to get 21 sts x 28 rows in stockinette st = 10 x 10 cm / 4'' x 4''. 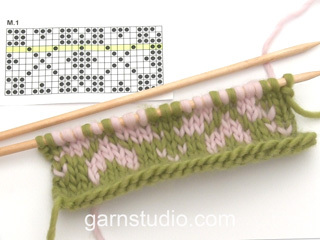 You can get the yarn to make this pattern from	22.40$. Read more. See diagrams A.1 and A.2. 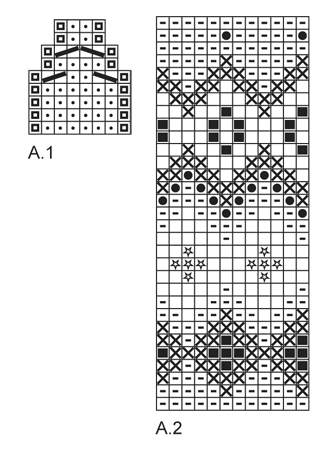 Diagrams show pattern from RS. Row 1 (= RS): K until 6-6-6 (6-6-6) sts remain, slip 1 st as if to K, K 1, psso, turn piece. Row 2 (= WS): P until 6-6-6 (6-6-6) sts remain, slip 1 st as if to P, P 1, psso, turn piece. Row 3 (= RS): K until 5-5-5 (5-5-5) sts remain, slip 1 st as if to K, K 1, psso, turn piece. Row 4 (= WS): P until 5-5-5 (5-5-5) sts remain, slip 1 st as if to P, P 1, psso, turn piece. Continue dec like this with 1 st less before every dec until 8-10-10 (10-10-12) sts remain on needle. Work until 3 sts remain before marker, K 2 tog, K 2 (marker is between these 2 sts) and then K 2 twisted tog. 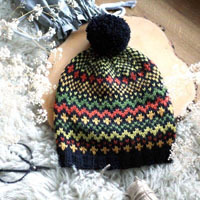 Cast on 96-112-112 (112-112-128) sts on double pointed needles size 3 mm / US 2.5 with beige brown Karisma. Work diagram A.1, after A.1 there are 48-56-56 (56-56-64) sts on needle. Continue with rib = K 2/P 2 until piece measures 4 cm / 1½''. K 1 round while AT THE SAME TIME dec 0-2-2 (2-2-4) sts evenly = 48-54-54 (54-54-60) sts. Switch to double pointed needles size 4 mm / US 6. Insert a marker at beg of round (= mid back). 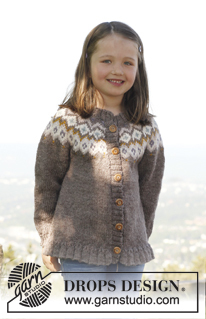 Then continue in stockinette st according to diagram A.2. REMEMBER THE GAUGE! After A.2, continue with beige brown until finished measurements. AT THE SAME TIME when piece measures 7-8-7 (8-7-8) cm / 2 3/4"-3 1/8"-2 3/4" (3 1/8"-2 3/4"-3 1/8"), dec first and last st on round (= 2 sts dec) – SEE DECREASE TIP. Repeat dec every 2½-1½-2 (2½-3-2) cm / 7/8"-½"-3/4" (7/8"-1 1/8"-3/4"), 4-6-6 (5-5-7) more times = 38-40-40 (42-42-44) sts - NOTE: Pattern will not fit mid back when decreasing but make sure that pattern fits around the sock otherwise. 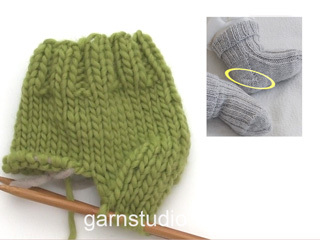 When piece measures 18-19-20 (22-23-24) cm / 7"-7½"-8" (8 3/4"-9"-9½"), keep the first 18-20-20 (20-20-22) sts on needle for heel and slip the last 20-20-20 (22-22-22) sts on a stitch holder (= mid on top of foot). 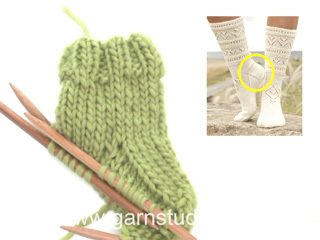 Work in stockinette st back and forth over heel sts for 4-4½-4½ (5-5-5) cm / 1½"-1 3/4"-1 3/4" (2"-2"-2"). Insert a marker in the piece. Then work HEEL DECREASE - see explanation above! After heel dec, pick up 8-9-9 (10-10-10) sts on each side of heel and slip the 20-20-20 (22-22-22) sts from stitch holder back on needle = 44-48-48 (52-52-54) sts. Insert a marker on each side of the 20-20-20 (22-22-22) sts on top of foot. 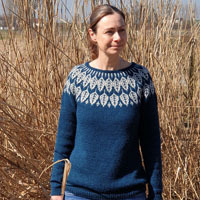 Continue to work in stockinette st in the round - AT THE SAME TIME dec in each side as follows: K the last 2 sts before the 20-20-20 (22-22-22) sts on top of foot twisted tog and K the first 2 sts after the 20-20-20 (22-22-22) sts tog. Repeat dec every other round 4 more times for all sizes = 34-38-38 (42-42-44) sts. Continue to work until piece measures 10-11-13 (14-16-18) cm / 4"-4½"-5" (5½"-6 1/4"-7") from marker on heel (approx. 3-4-4 (4-4-4) cm / 1"-1½"-1½" (1½"-1½"-1½") remain until finished measurements). Now insert a marker in each side so that there are 17-19-19 (21-21-22) sts both on top of foot and under foot. On next round dec 1 st on each side of both markers for toe - SEE DECREASE TIP! Repeat dec every other round 2-3-3 (2-2-2) more times and then every round a total of 2-2-2 (4-4-5) times = 14-14-14 (14-14-12) sts remain on needle. On next round K2 tog around.